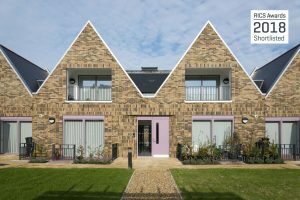 We are thrilled to announce that three of our schemes Creek Road, Thrale Almshouses and Magna have been shortlisted for a RICS award this year. Creek Road has been shortlisted in the regeneration category for schemes inside London. Creek Road is an 83 home scheme in Greenwich which also includes 1,800sqm of commercial space at ground floor level. The scheme is a mixture of apartments and houses which are accessed along a regenerated mews with views overlooking St.Alfeges Park. Thrale Almshouses has been shortlisted in the residential category for schemes inside London. Thrale Almshouses is a unique over 60s housing scheme located on Polworth Road, Streatham, involving the sensitive refurbishment and extension of 8 locally listed 1 bed Almshouses. The scheme also includes 9 new build spacious flats in a mix of 1 and 2 bedroom units, including wheelchair dwellings. Thrale Almshouses has been shortlisted in several awards and was featured as an exemplar project in Historic England’s publication on Translating Good Growth for London’s Historic Environment. 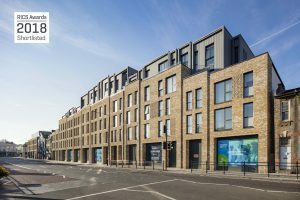 Magna in Cambridge has been shortlisted in the residential category for schemes in the East of England. Magna has been developed as a joint venture between Hill and Homerton College. 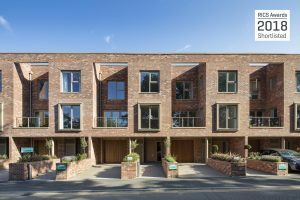 The project forms part of a larger mixed-use scheme comprising of new teaching facilities and student accommodation, as well as 95 new residential dwellings. These units are a mix of high quality apartments and luxury family houses arranged around attractive landscaped gardens.